That is really cute and clever, it looks amazing! You are so creative! What a great idea to use something that we would just throw away. I would have never thought this up, great job. It looks great and if it Buster knocks it off the table it won't break. What a great way to recycle and repurpose. Such ingenuity! And it looks beautiful! Oh my goodness I would never guess that that was a pretzel container before!!!! I love it!!! What a great idea, and the vase looks BEAUTIFUL!!!! Great job!!! This is an amazing recycle. It looks absolutely perfect!! Great way to recycle. I would have never known that was a pretzel container! Looks great! Visiting from roadkill rescue. I like the paint on the plastic. It gives it a bit of a gloss. I'm going to feature on my fb page today. That is so pretty! You'd never know what it really was in it's previous life! Love this Barbara! 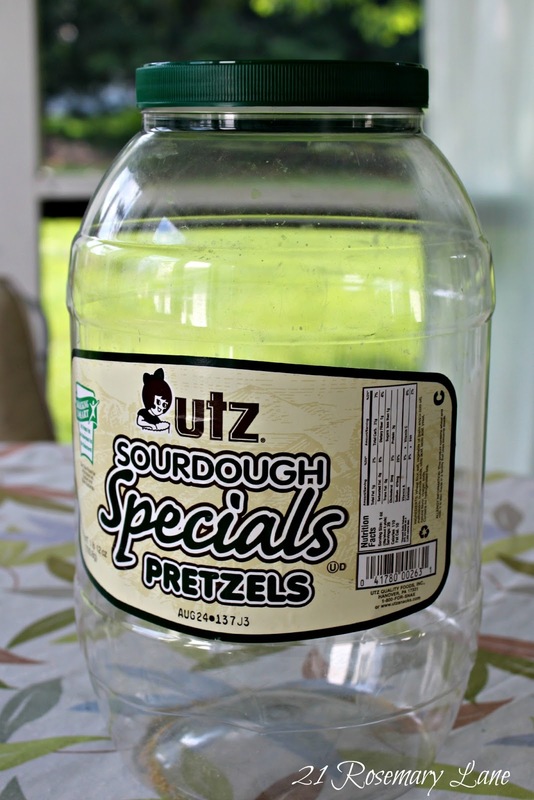 I would never have thought that this was a pretzel jug!!! 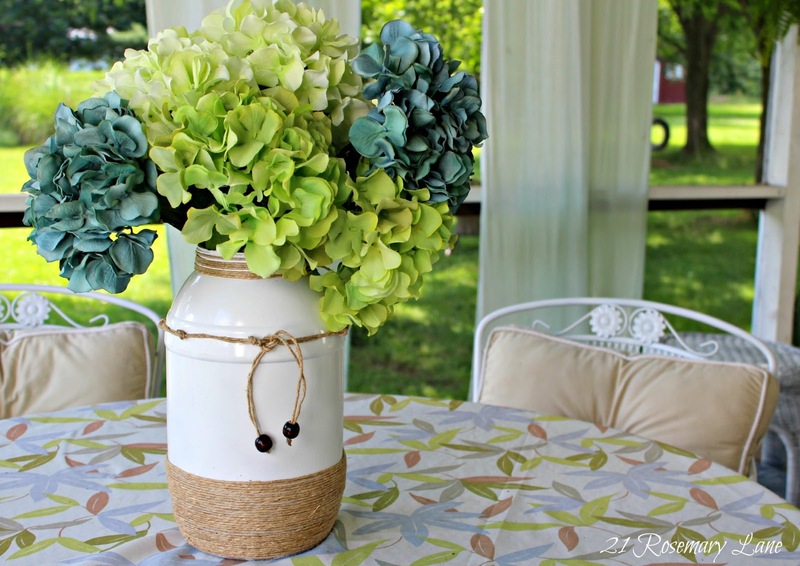 It is so pretty, and looks wonderful on your table!! Seriously? How DO you think of this stuff. Baby, I'm amazed. :D I think I have vision but you have some sort of sci-fi wonder vision. Love your creativity. Thanks for linking up. Pam you make me laugh with some of your comments!!! Thanks...glad to have linked up!!! 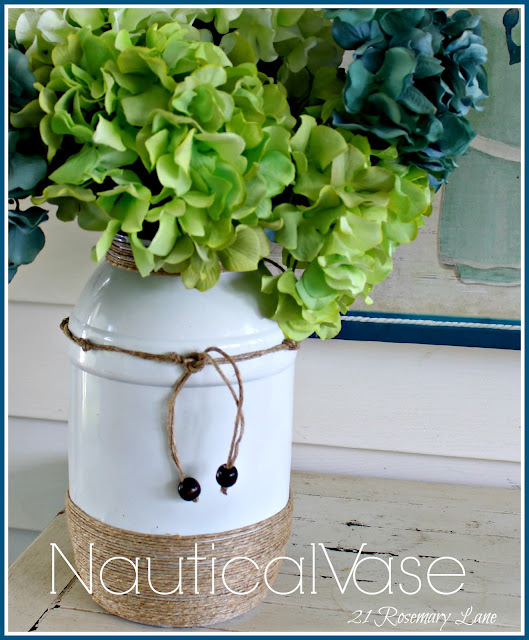 Great way to re-purpose a plastic container and sooo cute! Thanks for the inspiration. Hi, Barbara. I absolutely love this! So much so that I added it to my Looksi Curated collection AND a round up of beach inspired decor for my site next week. As a Looksi Curator, I scoured blog land and Pinterest to find super fun, adorable, and easy crafts to share with Looksi. Of course, everything links directly to this post, and I hope you gain some blog traffic. Congrats! Ahhh-Maaaa-Zing. What in the world possessed you to look at a pretzel container and imagine this? I love the way you think. Great work! Now that is awersome! YOu have me thinking, since we are about to have a deck and patio done. AND, we eat those pretzels all the time, thanks!!!! Wow! What a great project. I'd NEVER know this is a plastic container if you didn't tell me. 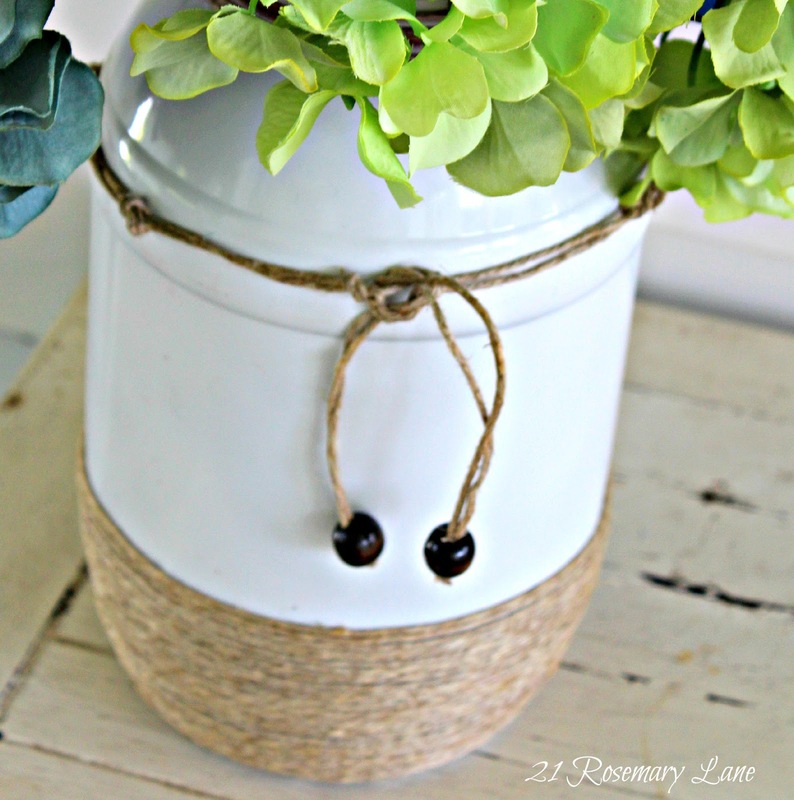 Love the white with the jute and beads, too!